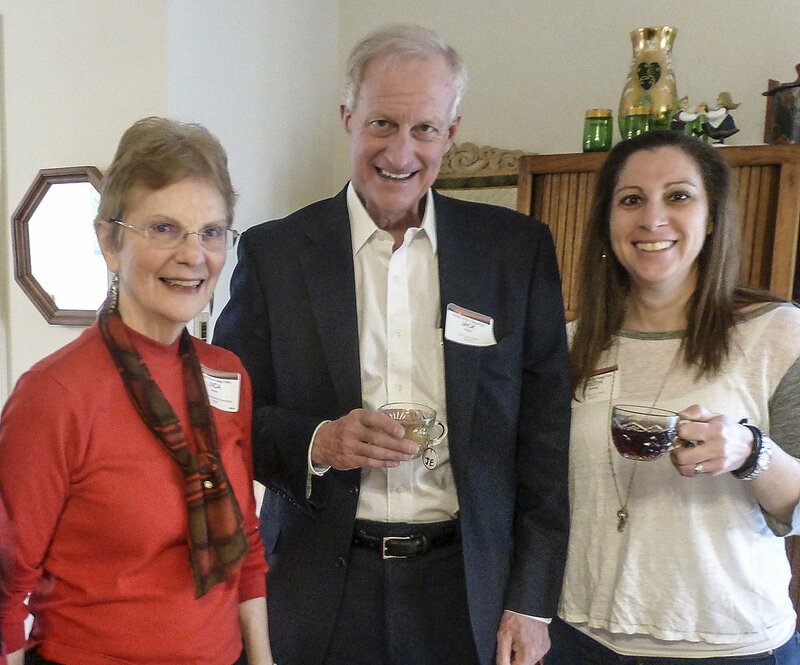 Jack Evans and Ruth Werner share a cup of cheer with host Linda Brooks. Photo by Ann Carper. Dwane Starlin and Marilyn Bennett chat over the spread of food. Photo by Linda Brooks. 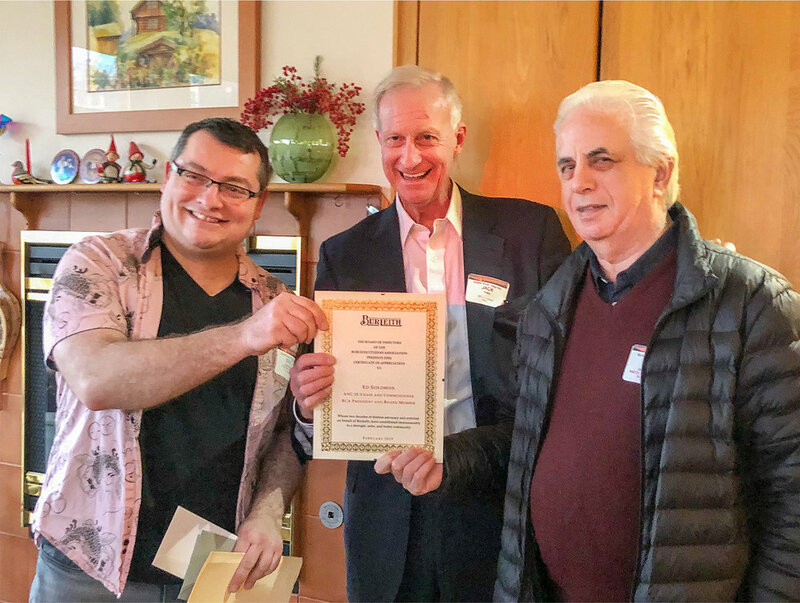 The 2019 Burleith gløgg party enjoyed its eighth successful year on Super Bowl Sunday, February 3. Sponsored by the Burleith Citizens Association, this annual festivity has become a highlight of the winter season. Neighbors get re-acquainted, make new friends, and share news, while enjoying a Scandinavian tradition of the delicious hot drink “glogg” or mulled cider. A record number of children, who joined in the fun, were among the more than 75 attendees. Special guests included DC councilmember Jack Evans (Ward 2), Burleith ANC commissioner Kishan Putta, Mayor Bowser's Ward 2 liaison Amr Kotb, as well as her previous Ward 2 liaison, Richard Livingstone. BCA president Eric Langenbacher presented a well-deserved award to retiring ANC 2E commissioner Ed Solomon for his many years of dedicated service to our community. Many thanks to the numerous BCA Board members and Burleith residents who brought food, served gløgg, greeted guests, took pictures, went grocery shopping, and even moved furniture. The assistance was invaluable! We hope to see all of you again next year! Eric Langenbacher, Jack Evans, and Ed Solomon. Photo by Stephen Brown. Kishan Putta, Amr Kotb, and Richard Livingstone. Photo by Ann Carper.